There are a number of fellowship and scholarship opportunities available to undergraduate and graduate students pursuing degrees in criminal justice. 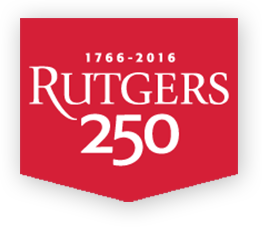 The Carr scholarship honors the first African-American Rutgers graduate. This scholarship reflects our commitment to enrolling a student body that is broadly diverse in terms of experience, socioeconomic background, geography, special skills, and talents. The Carr Scholarship is awarded to first-year applicants for four years of undergraduate study for a total of $40,000. The annual amount is $10,000. To be considered, students must have competitive academic credentials, specialized talents, extracurricular activities, leadership, community service, work experience, awards, honors, and achievement. First-Year: The Chancellor’s Scholarship is awarded to admitted first-year students for four years of undergraduate study for a total of $20,000. The annual amount is $5,000. Awards are based on academic ability; an assessment of talents, experience, and potential; and a holistic review of how a student might contribute to a diverse educational environment. Transfer: The Chancellor’s Scholarship is awarded to admitted transfer students for two years of undergraduate study for a total of $10,000. The annual amount is $5,000. Awards are based on academic ability; an assessment of talents, experience, and potential; and a holistic review of how a student might contribute to a diverse educational environment. A minimum of one Chancellor’s Scholarship will be awarded annually in the fall semester to an admitted transfer student from each of the following institutions Bergen County College, Essex County College, Hudson County College, Middlesex County College, Passaic Community College, and Union County College. The Phi Theta Kappa (PTK) Scholarship is awarded to transfer applicants attending community college and are members of the college’s PTK Honor Society. There are 20 PTK scholarships awarded annually in the fall; a minimum of one PTK Scholarship will be awarded annually to an admitted transfer student from each of the following institutions Bergen County College, Essex County College, Hudson County College, Middlesex County College, Passaic Community College, and Union County College. PTK Scholarships are awarded for two years of undergraduate study for a total of $16,000. The annual amount is $8,000. Transfer applicants must apply by February 1 for fall admission. Students must be U.S. citizens or permanent residents. Students must be enrolled full-time in a transfer program at a community college. Students must be a member of their community college’s Phi Theta Kappa Honor Society. Students must have earned an associate’s degree in arts or science by the time of enrollment and have a minimum grade point average of 3.8 for consideration. Students must enroll directly from the associate degree-granting community college, with no intervening enrollment at another institution.